Are you a music therapist, a musician, a teacher or a manager with focus on human resources? 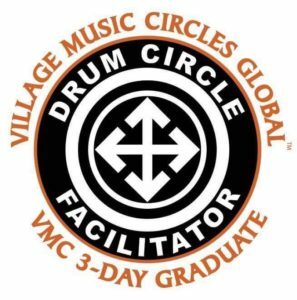 The Basic Drum Circle Facilitator Training/Playshop is designed for Tutors, Educators, Musicians, Doctors, Music-therapists, Clown-therapists and any person who uses rhythm to bring wellness in a group. The CHALLLENGE program is designed for graduate VMC Facilitators . The Rhythmical Alchemy Playshop is for everyone! No experience is necessary. Escape the outside world and play with your rhythm community in Arthur’s one-of-a-kind musical sandbox. This experiential, family-friendly event offers people of all ages and backgrounds a playful and safe environment to explore the power of rhythm in our lives. Ice-breakers! Rhythm Play! Vocal games! Songs! Theater improv! In the Rhythmical Alchemy Playshop™ our rhythm community builds as we play, sing, dance and drum together. Using contact improvisation, vocals, rhythmical games, hand drumming and drum circle consciousness, we create musical fun in a nurturing place. Explore expressive activities through musical ice-breakers, rhythm-play, vocal games, songs and theater improv for community-building fun! This weekend experiential playshop provides 18-20 hours of rhythmical exploration, practice and fun! Facilitators of all backgrounds and experience levels will gain innovative motivational techniques and inspirational activities suitable for multiple group applications. Learn new approaches to recreational drumming! Touch, feel, listen, express with drums, whistles, chimes, gongs, bells, wood, metal and more. The Rhythmical Alchemy Playshop™ is for everyone! Past participants have ranged from ages 4 to 89! An exploration of basic & advanced rhythm and percussion skills. Practice using a variety of musical styles, forms and instruments. Musicality instruction through pitch dynamics, timbre discrimination & tempo variations. Experience of leading and following while playing in the groove. body-music, vocals and group drumming activities. 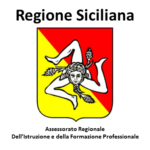 La Bottega delle Percussioni is a point of reference for those who want to approach the world of percussion and those who want to undertake a serious and in-depth study.